The seething anger Americans feel over the college admission scandal with wealthy and well-connected families using money, influence and cheating to bump their kids up in line so they get accepted into elite schools is well justified. Yet this scheme is small potatoes compared to the real scandal on college campuses from coast to coast. That scam is how much universities are charging families once they do get in. College tuition, room-and-board costs can now exceed $50,000 to $70,000 a year. This is a massive financial hardship for the families that actually pay out of pocket the $200,000 to $300,000 tab for a four-year degree and for those who get loans. The debt for a 22-year-old graduate can easily exceed $100,000. Meanwhile, the size of the student loan debt nationwide has reached some $1.5 trillion. As one solution, leading voices in the Democratic Party — ranging from Sens. Bernie Sanders to Kamala Harris to Rep. Alexandria Ocasio-Cortez — are touting “free college” or even more guaranteed student loans for families. The worst idea of all is student loan forgiveness of up to $1 trillion. This would only shift the costs of expensive colleges onto the back of taxpayers — many of whom never even went to college. There are two glaring problems with free college. First, instituting free college tuition does nothing to incentivize college administrators to lower costs. Instead, it simply transfers the burden of paying for higher education from kids whose families have relatively high incomes to general taxpayers, many of whom didn’t go to college at all. As education economist Richard Vedder of Ohio University has pointed out, free college would be one of the most regressive public policies of modern times. Second, we know from other industries, such as health care, that the bigger the government role, the more costs escalate. There is a much more equitable and practical solution to lowering the high cost of universities — especially at the most expensive and elite schools. The federal government could incentivize colleges with high tuitions to lower its costs by tapping into its tax-deductible massive endowments. 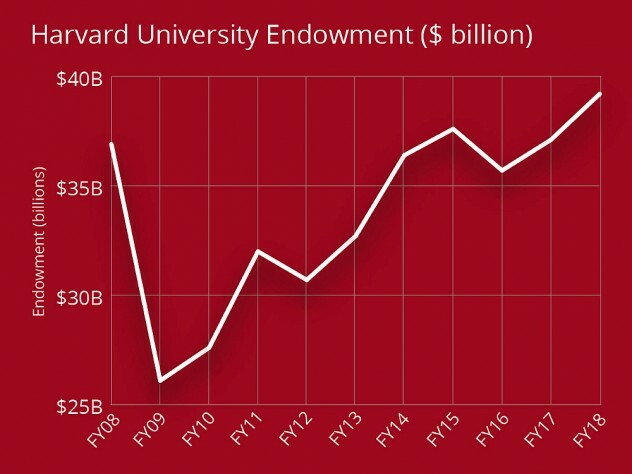 It turns out that endowments have exactly the opposite effects on tuition that one might expect: The higher the endowment, the higher the tuition. The feds have the leverage to reverse this. The University of Notre Dame, Princeton, Yale, Harvard and other elite schools such as Duke and the University of Southern California can’t make a plausible case for the need for billions of dollars annually in federal subsidies when these schools’ bank accounts hold hundreds of millions — and in many cases billions — of dollars of funds. Without any new gifts, most if not all Ivy League endowments could fund full-ride scholarships for all financially needy undergraduate students for the next half-century. With continued gifts to universities, tuition could practically be free to students forever without the endowments running dry. The way to cut tuitions, starting with the most expensive colleges, is to require these schools to lower its tuition each year by 5-10% and make up the difference by either cutting costs (that’s easy) or using endowments to subsidize the out-of-pocket costs paid by students and/or taxpayers. We are not fans of price controls. But if universities are going to rely on taxpayers to subsidize its exorbitant costs, it makes sense for the public to hold these schools to the high standards it says it holds its students to. If the institution doesn’t take federal money, it can do as it wishes. Lower college tuitions are easily achievable for every family in America, and unlike our failed multi-billion-dollar student loan programs or populist slogans such as “free college tuition,” this strategy won’t cost taxpayers a dime. 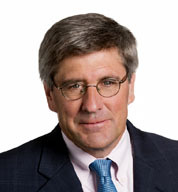 Stephen Moore is a columnist for WorldTribune.com and a senior fellow in economics at the Heritage Foundation. His latest book is “Fueling Freedom: Exposing the Mad War on Energy.” He served as a senior economic adviser to the Trump campaign.